PHILADELPHIA (HOODLINE) – So you’re hungry — and you’re ready to grab breakfast or brunch. Good news: we’ve found the freshest spots in Philadelphia to satisfy your appetite. Here are the newest places to check out the next time you’re in the mood for a tasty morning meal. First on the list is the Over Easy Breakfast Club, a daytime eatery that’s only open Friday, Saturday and Sunday. The restaurant features classic menu items like eggs cooked your way, served with toast, home fries or a salad. Duck eggs are available as a substitute. Or try the creatively named Dinosaur Egg: an avocado wrapped in bacon and served with poached egg, arugula and your choice of toast. Other offerings include French toast with a side of fruit, pancakes topped with walnut honey butter, biscuits and sausage gravy and house-cured salmon served with beet rye, pickled onion and cream cheese. With a four-star Yelp rating out of 13 reviews, Over Easy Breakfast Club has been getting positive attention. Next is the whimsically named Green Eggs Cafe, the small chain’s fifth location. This new breakfast and brunch eatery shares a space with Medusa Pizzeria and boasts a large deck with all-day breakfast. You can get eggs with your choice of breakfast meat, or go vegetarian with the ultimate tofu scramble, made with curry, peppers, onions, plum tomatoes, spinach and vegan sausage. 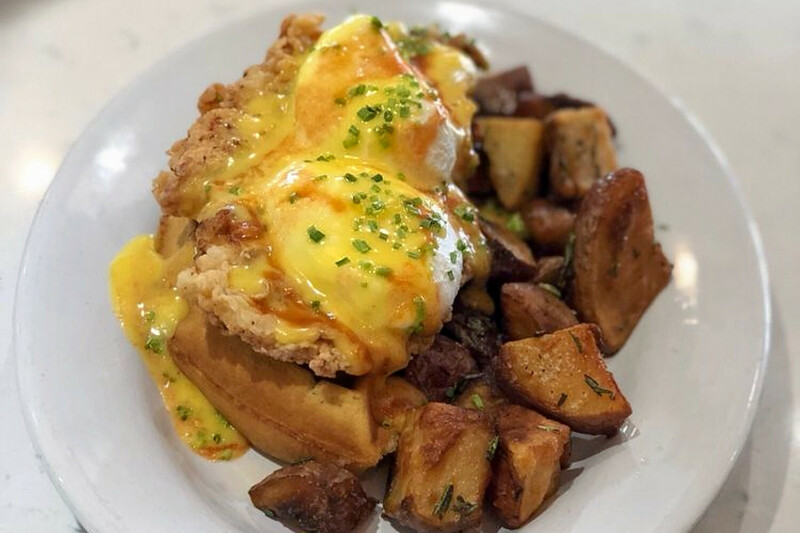 Chicken and waffles Benedict, crab cake Benedict, sliced lox Benedict and root vegetable Benedict are also available. 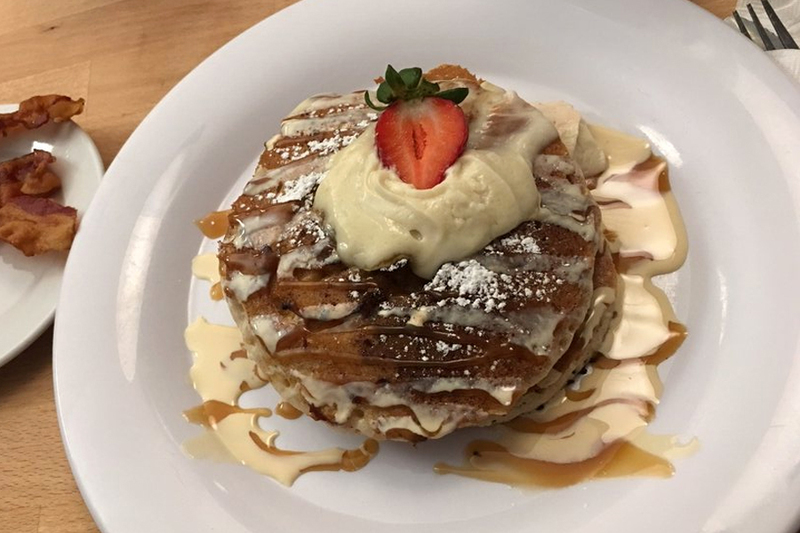 On the sweets menu, options include chocolate chip cookie dough-stuffed French toast, topped with maple syrup, vanilla anglaise and brown sugar. Green Eggs Cafe is off to a promising start with four stars out of 14 reviews on Yelp. Green Eggs Cafe is open from 8 a.m.–4 p.m. daily. Last but not least is Breakfast Boutique Chestnut Hill. 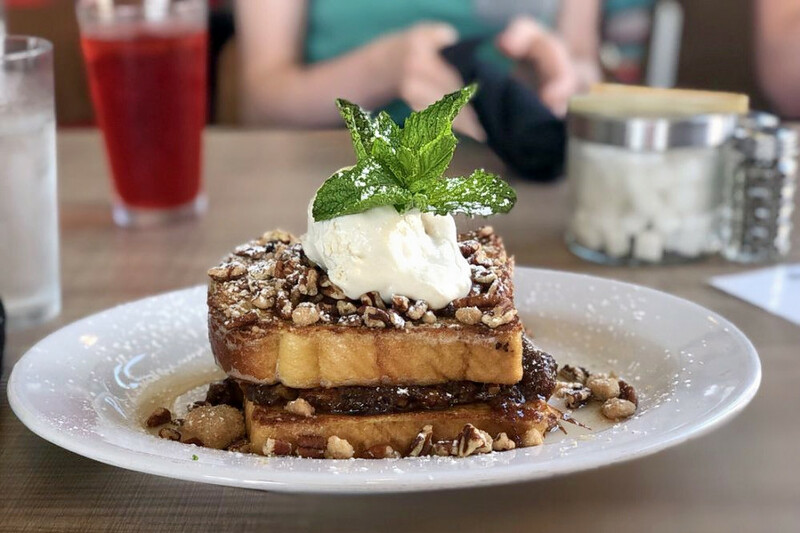 At this location of the Breakfast Boutique franchise, you’ll find breakfast classics like steak and eggs, eggs Benedict and French toast, plus elevated waffles like the Red Velvet (strawberry compote and sweet butter cream) and a Belgian waffle with jerk chicken on the side. Lunch starts at 11 a.m., with options that include sandwiches, salads and burgers. Breakfast Boutique Chestnut Hill currently holds 3.5 stars out of 31 reviews on Yelp, indicating fair reviews. 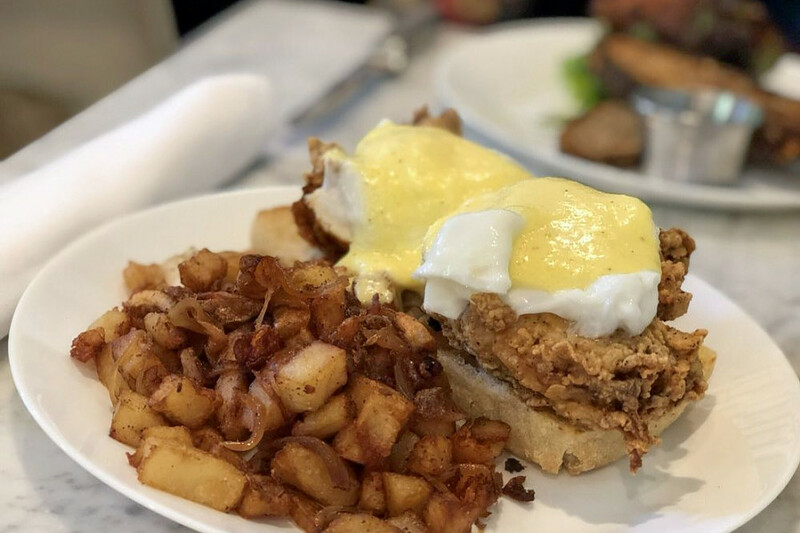 Breakfast Boutique Chestnut Hill is open from 7:30 a.m.–2:30 p.m. from Monday-Wednesday, 7:30 a.m.–4 p.m. on Thursday, 7:30 a.m.–5 p.m. on Friday and Saturday and 8 a.m.–2 p.m. on Sunday.